Waking up early in Llandegla Village after covering good miles the previous day we could, of course, have got our camping stoves out and heated up a freeze-dried breakfast. However, after getting chatting to some friendly locals in the pub the previous evening we had been promised a hearty breakfast of such renown that people came from miles around to sample it. How on earth could we not go and see for ourselves? North East Wales walks are always full of pleasant surprises like this, trust me! First up on the horizon was Moel Fenlli. To get there we walked through some very pleasant Welsh pasture land and, as the sunshine and blue sky slowly started to emerge; we were treated to views that looked like they’d come straight from a computer screensaver. Seriously, North East Wales walks really are this picturesque! I’m not going to lie: when you’ve been greeted in such a familiar fashion by friendly locals in the pub the evening before, it would seem churlish to head to bed early. I’m also not going to lie that although Moel Fenlli is isn’t the tallest or most technical of hills, it is particularly steep. These things combined didn’t make for a nice gentle introduction into what would be in the region of 13 miles worth of walking that day with a little bit of a cloudy head. It turns out that some North East Wales walks are tougher than others. Maybe one less drink will suffice next time. On reaching the summit we were, however, soon in fits of laughter. Partly sleep-deprived deliriousness yes, but mostly because of the ridiculously strong gusts of wind that made even standing on two feet a problem. This, to us, was a moment of great hilarity and rather than trying to drop down to the other side of the hill to seek immediate shelter, we jumped in the air to see if we could float for a second or two. It’s sometimes in moments like this that I love the great outdoors and the elements more than ever. It’s nature’s way of testing your metal. The fact that we found such good humour in this sudden change of weather prompted me to think that the day was going to be a good one. Indeed, it was! Dropping down the other side of Moel Fenlli we found ourselves in very familiar territory. You see, being from the area myself, Moel Famau Country Park is somewhere that I have walked and explored since childhood. It’s somewhere that my two children now explore; where we walk, hike, trail run and picnic. There are few local outdoor spaces that I hold dearer to my heart. This is not just about an endearing sentimentality either: this place is beautiful. Before we ventured up the stone path to the remains of the famous Jubilee Tower, however, another familiar site was stationed in the car park…the Hut. The Hut is a Shepard’s hut that’s been transformed into a quaint but very cool mobile coffee shop. If it’s parked there when you walk this section of the Offa’s Dyke trail you have to pop in. If it’s cold, they’ll have the internal wood burner roaring and a range of freshly made teas and coffees to warms your innards. If’s it warm, like it was, we walked this section last, grab a cold drink, a piece a cake and lie on the adjacent grass to sooth your limbs before the next big climb of the day. Speaking of that climb, the section of the Offa’s Dyke Path leading you up to the summit of Moel Famau may be a little longer than Moel Fenlli, but it certainly lacks the severity of incline. Consequently, you’ll be able to take a more leisurely approach to this hill. Moreover, when you reach the top, you’ll be standing at the highest point in the Clwydian Range at 554m. The views are superb on a clear day with the mountains of Snowdonia clearly visible. Don’t just take my word for it either. This entire area has been designated an Area of Outstanding Natural Beauty (AONB) since 1985. In my personal opinion, this was awarded a few thousand years late. With the popularity of Moel Famau, you may have encountered all manner of outdoor enthusiasts on your way up to Jubilee Tower. This next section, however, will be far, far quieter. In actual fact, I think the last time that I walked the Offa’s Dyke Path between Moel Famau and Moel Arthur I bumped into maybe one other person. If it’s a sense of isolation you require, trapped by beautiful surrounding and stunning views; you’ll find it here. After a lengthy descent, your third climb of the day, Moel Arthur, will begin to come into view. This classic hillfort may be relatively small in comparison to other hillforts in the area, but it’s near perfect hill shape, steep banks and ditches make this a formidable fort. It has an intensely rich history too with a burial chamber dating back to the Bronze Age believed to be situated near to the summit. Furthermore, several bronze age artefacts have been unearthed during archaeological excavations. In 1962, for instance, three copper Bronze Age flat axes were discovered. Consequently, any walkers and visitors with a passion for history will love this particular part of the Offa’s Dyke Path. The fourth and final hill of the day we see you tackle the largest hillfort in the Clwydian Range and one of the largest in the whole of Wales, Penycloddiau. Again, through the existence of a burial mound at the northern end of the hill, it is believed that Penycloddiau as a settlement dates back to the Bronze Age. With evidence that houses were built on the lower banks and that the natural pools on the summit provided the fort with drinking water, this hill, like so many in North East Wales, has a great and vivid past. After climbing four hills of some significance today, you’ll be glad to know that the final short section into Bodfari is all downhill. 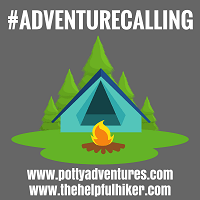 Use it to take in the magnificent beauty of this remarkable corner of Wales and think about what your final two legs across the Offa’s Dyke Path have in store as you close in on the sea. If that all sounds good, make sure you check out our third North East Wales walks instalment next week. If you still crave more adventure after a solid day exploring a North East Wales walk, then this particualr region may well be your Mecca. One of my favourite places to hang out and fulfil the ever-lurking adrenaline junkie inside of me is OnePlanet Adventure. Located in Llandegla Forest, the Offa’s Dyke Path literally passes through it so you have no excuse not to drop by. With world class mountain bike trails, a skills section, expert freeride jumps and one of the best cafes in Wales, if you’re a fan of two wheeled adventures, you’d be silly not to test yourself here. It even has a range of walking and trail running trails too. 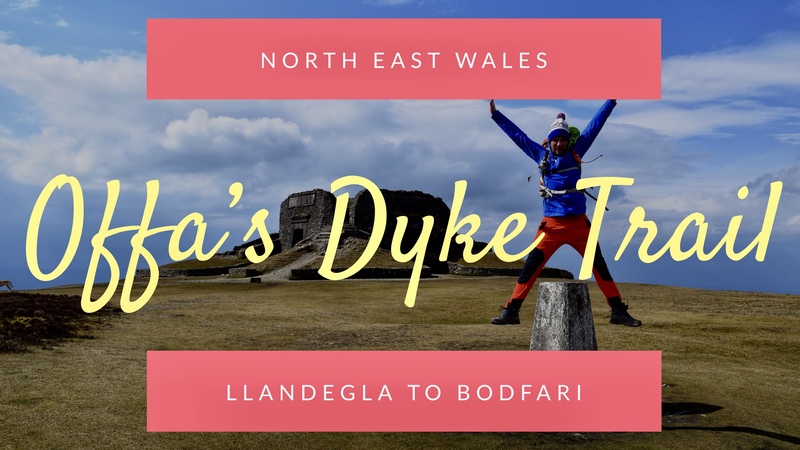 Consider having a ‘rest’ day between leg one of the North East Wales section of the Offa’s Dyke Path and completing this leg, leg 2. You can thank me for it later. Very close to Moel Famau itself, and with some beautiful walking trails that lead up to the summit of the Clwydian Range’s highest point; Loggerhead Country park is a beautiful place to visit if you have time on your hands. With a sedate woodland trail that parallels the babbling River Alyn, another quality café serving awesome, freshly made food, and activities in and around the park, such as climbing, bouldering and abseiling at Devil’s Gorge; Loggerheads makes for an amazing little detour if you’re staying in the area. If you have little ones with you, don’t forget to check out the array of carved woodland animals that hide in the forest. You see: North East Wales walks are suitable for the entire family. It sure looks as if you guys had yourselves a ball of an adventure. Awesome sights and maybe I will one day get to see them. Gioko Pat recently posted…What Is The Best Camping Knife To Buy?